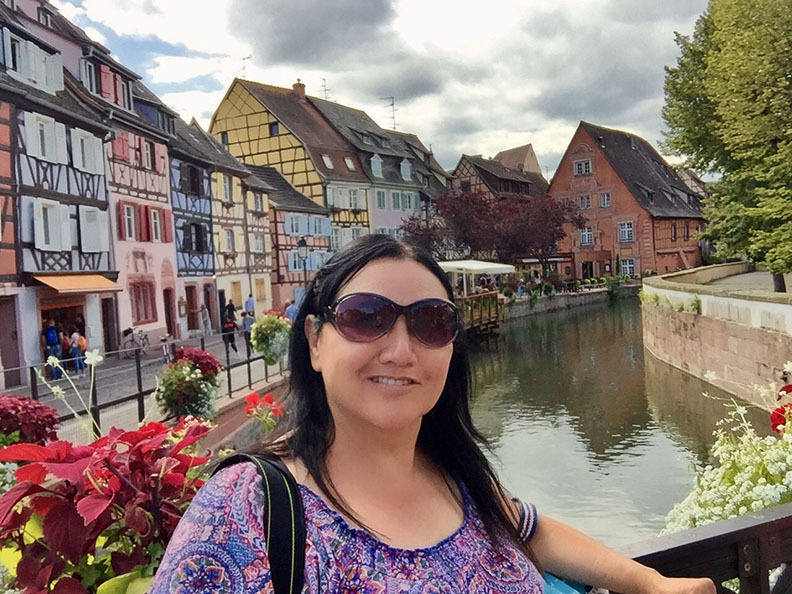 On Monday, we spent the day in Colmar, France. We took the train, it’s an hour away by the train, going east. 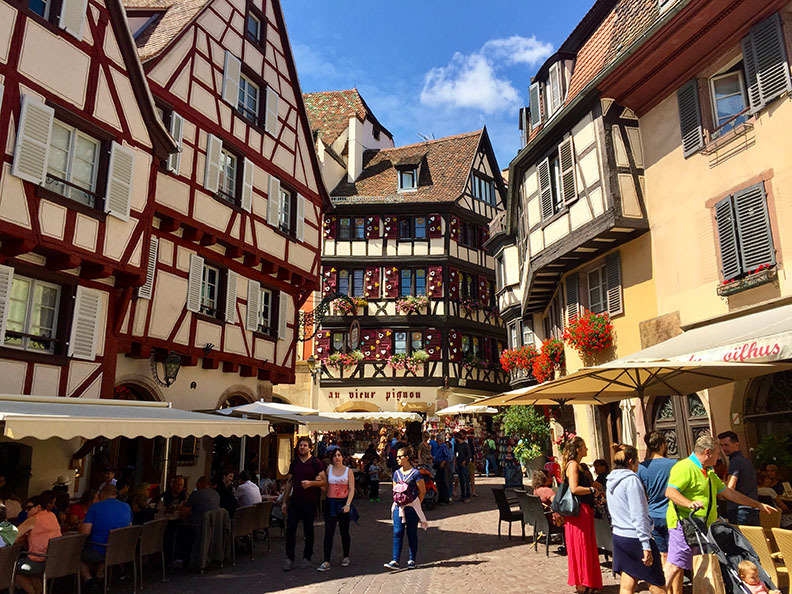 Colmar is a town in the Grand Est region of northeastern France, near the border with Germany. The town has cobblestone streets lined with half-timbered medieval and early Renaissance buildings. It is also known as “Little Venice”. The whole city looks like a page out of an old fairy tale with churches, cobblestone streets, cute houses, and canals. It’s not very big so everything is walking distance. The city is quite charming. Colmar is also the birthplace of Auguste Bartholdi, who created the Statue of Liberty in the New York Harbor. 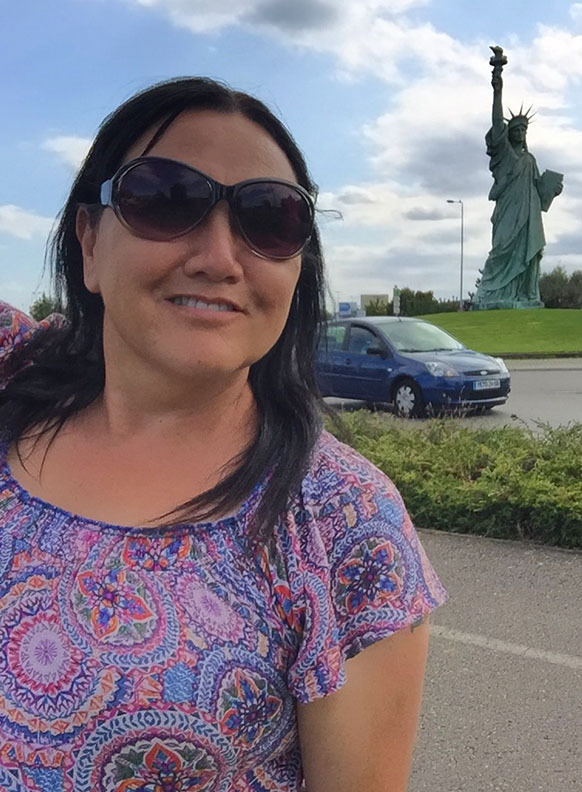 A replica of the Statue of Liberty greets visitors in the middle of town. The copper-green resin replica stands 39 feet high in the middle of a busy roundabout at the north end of town. So whether you’re driving in from Strasbourg on the D83, or heading into town from the Colmar airport, you’ll be welcomed by a lovingly rendered homage to the work of a local boy who made good. 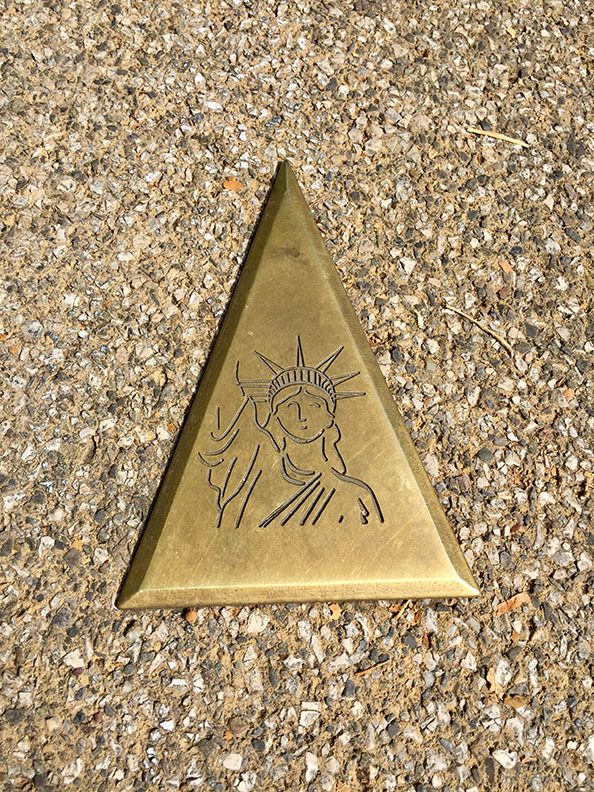 The town also has little metal markers throughout the city to help guide your walking tour, although they lead everywhere and I didn’t notice they took you anywhere in particular. It was still fun to follow them. 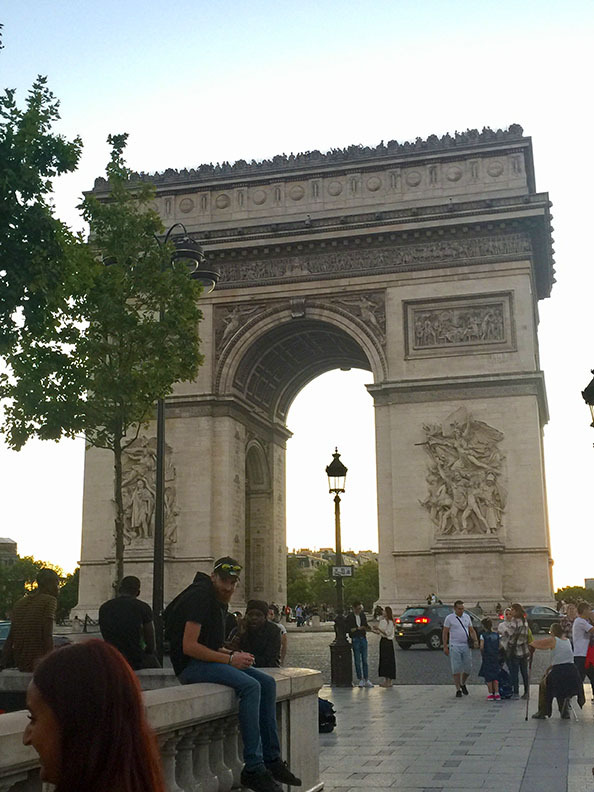 At the end of our day trip, we took the train back to Paris and visited the famous Arc de Triomphe. Many people do not realize that you can go to the top, if you look at the picture closely, you can see people standing at the top of the arc. 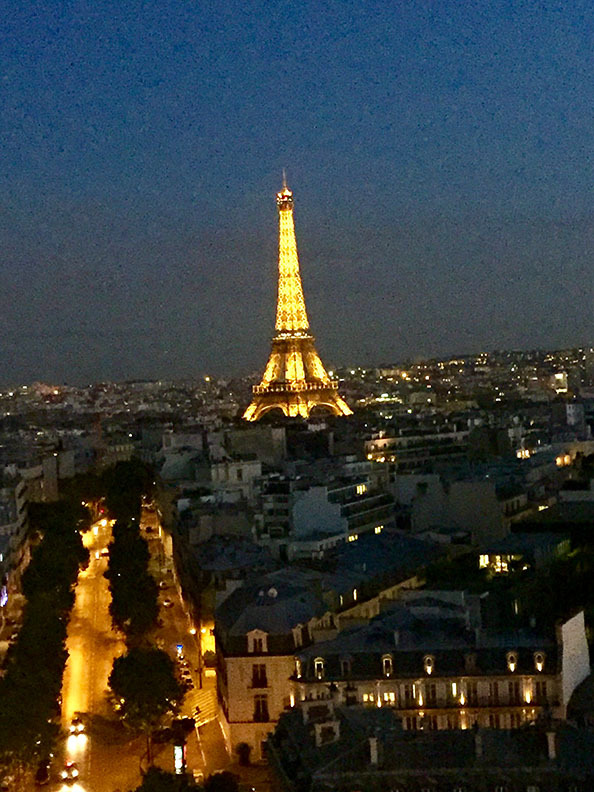 This is the view of the Eiffel Tower from the top of the Arc. 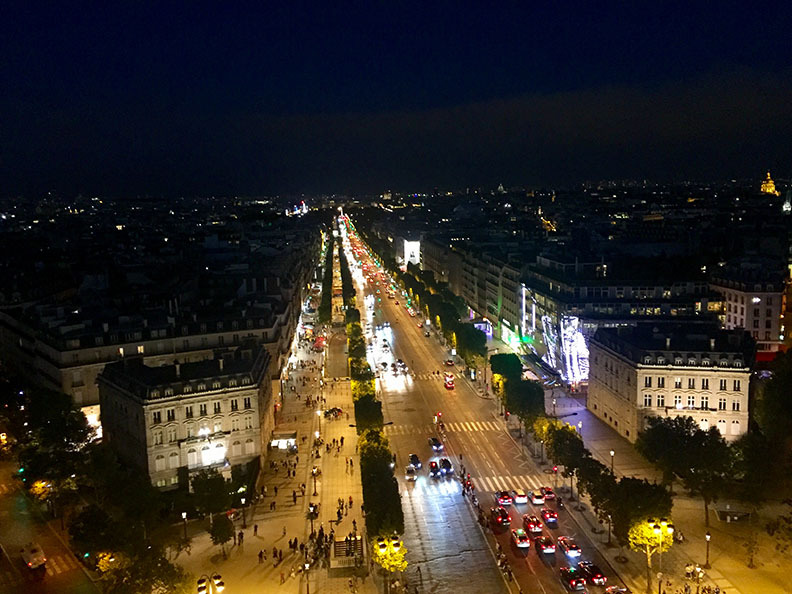 The view from the top of the Arc looking towards the western end of the Champs-Élysées at the center of Place Charles de Gaulle.